It’s almost uncanny how much great guitar pop has come out of the relatively small country of New Zealand over the past three decades—not only that, but how far-reaching it is. The Dunedin Sound is alive and well worldwide, even if not everyone is privy to it. You can’t talk about Ghost Wave without discussing what has come before. The Auckland four-piece keeps in the tradition of Flying Nun bands of yore without resorting to aping them. 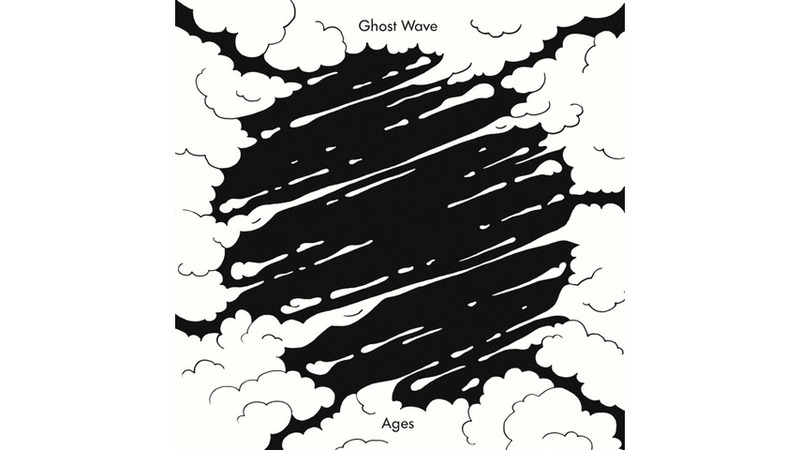 Sure, you’ll hear a little of The Clean, the 3Ds, even some Garageland, but the 10 songs on Ghost Wave’s debut full-length, Ages (released in New Zealand back in June on Arch Hill Records, and now internationally via Flying Nun), are bursting with personality. Simply put: vocalist-guitarist Matthew Paul has a sharp ear for melody and timing. This manifests itself in the more rollicking numbers as well as in the moments that feel as if you’re floating toward space. But even these trips use rocket propulsion. “Mountain” and the lone instrumental “Arkestra” hang firmly on loping bass lines while guitars and effects whiz by. Even pop gems like “Bootlegs” and “Country Rider” have their moments of free-fall guitar histrionics. Although you never get the impression that these chaps are getting lost in the moment—they know exactly what they’re doing. Actually, Ages doesn’t leave a single hair out of place. The poppier songs, sandwiched between the (slightly) extended guitar passages, are pure, uncut sugar. “I Don’t Mind” is the record’s best four minutes, with a riff that will lodge its way into your nucleus accumbens for days. And “Here She Comes” is a hazy summer jam that sounds plucked straight out of the Paisley Underground. The guitars jangle throughout, although it’s Mike Ellis’ bass lines that drive these songs, while also providing some of the album’s stickiest hooks. These days it’s no easy feat for a band to differentiate itself from the slough of other guitar-pop bands. You need songs, and Ghost Wave has plenty. It certainly doesn’t hurt that they come from a place in the world that continues to be a limitless source. Maybe there’s something in New Zealand’s water. It probably wouldn’t hurt if more bands drank Lemon & Paeroa.